We are trying really hard to get tons of vegetables in our diet.This is one of those recipes that gets you your full days worth all at once and is so tasty too! In a small sauce pan whisk together the lemon juice, tangerine juice, sweet chili sauce and red pepper flakes bring to a slow boil. Turn off the heat. Heat sesame oil in wok or wok type pan over medium high heat. Dredge chicken pieces in Wondra flour and add to pan when oil is hot. 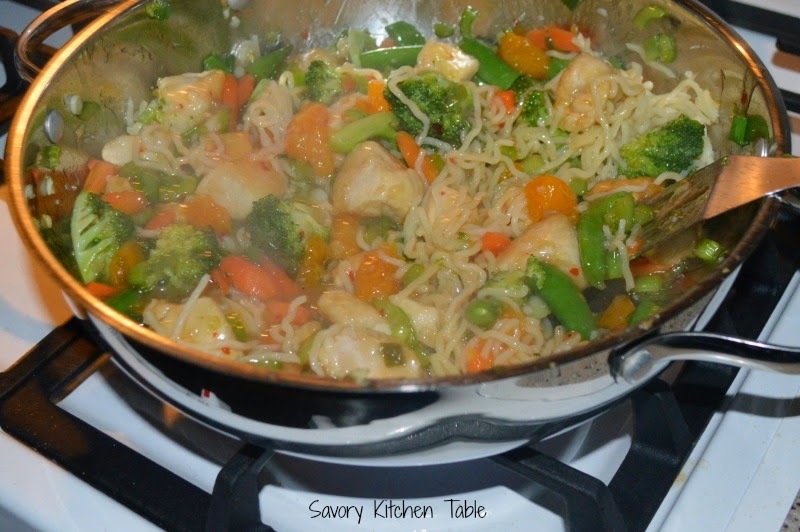 Stir fry until chicken pieces are brown and cooked through. Remove with a slotted spoon and keep warm. Add more oil if necessary and then stir fry the celery until starts to soften. 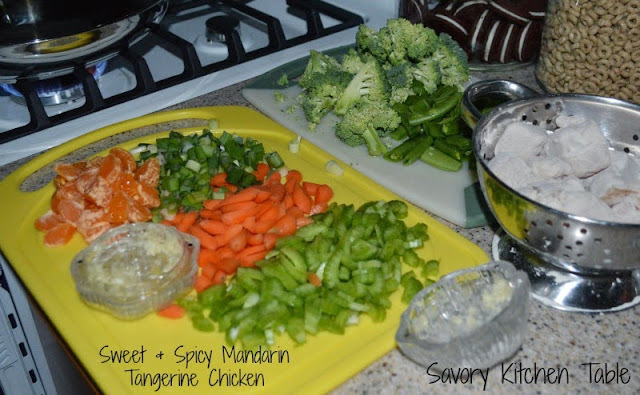 Add carrots, followed by green onions, snap peas and broccoli cooking until desired tenderness. 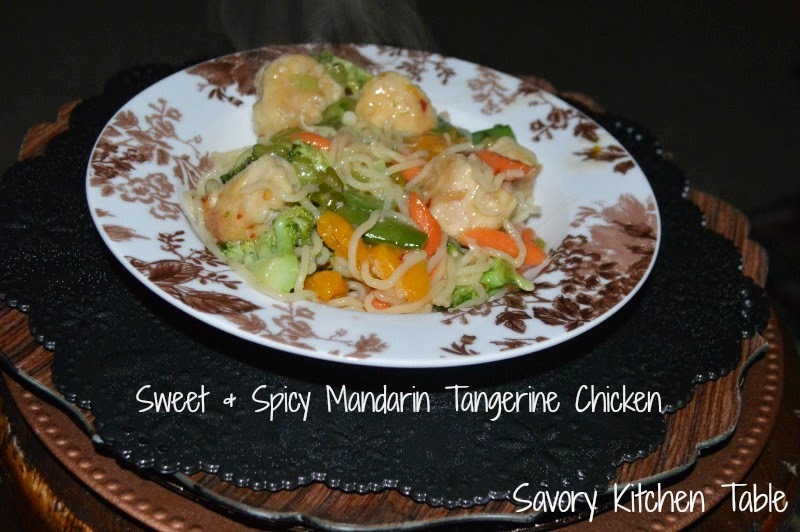 Add tangerine pieces to sauce, tossing to coat. Add sauce to pan and toss to coat. This meal is labor intensive, but really worth it. Chopping all those vegetables takes a bit of time.